BETHUNE, JOHN, Church of Scotland clergyman; b. 1751 in Brebost (probably near Orbost), Scotland, son of Angus Bethune and Christian Campbell; m. 30 Sept. 1782 Véronique Waddens, daughter of Jean-Étienne Waddens*, in Montreal, Que., and they had nine children; d. 23 Sept. 1815 in Williamstown, Upper Canada. John Bethune was born into a respected family on the Isle of Skye, his father being descended from one of the lairds of Balfour. Nevertheless, his youth was apparently marked by poverty: he held a college bursary in his third year at King’s College (University of Aberdeen), and in 1770 the Synod of Glenelg, at the request of the Presbytery of Skye, granted his family £5 to help meet the expenses of his education. After graduating from King’s College with a ba in 1769 and an ma in 1772, Bethune returned to the Isle of Skye and was licensed as a Church of Scotland minister. In July 1774 the Presbytery of Skye came under criticism from the synod for having licensed Bethune before he could be presented to its meeting. From the standpoint of the presbytery, however, time had been of the essence. Soon after returning from Aberdeen, Bethune had decided to emigrate with some members of his family to North Carolina, a colony that had become a place of refuge for thousands of Highlanders in the years after the 1745 rebellion. It thus seems highly probable that in hastily licensing Bethune the presbytery had been inspired by a desire to prepare him for the ministry in America. The Bethunes arrived in North Carolina in 1773, and on 14 June 1775 John was recruited as chaplain to the 1st battalion of the Royal Highland Emigrants (later known as the 84th), a loyalist unit raised by Allan Maclean*. Before assuming this post, he saw action at the battle of Moores Creek Bridge in February 1776, probably while serving as chaplain to the North Carolina royal militia. Along with hundreds of other Highlanders, he was captured at this battle by the victorious rebels and imprisoned. 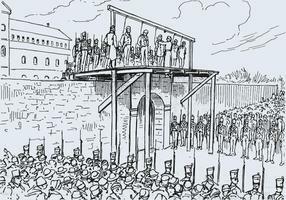 For a time he was held in Philadelphia, Pa, and it was from here on 31 Oct. 1776 that he and a group of fellow prisoners requested permission to rejoin their families. Although the evidence is unclear, he possibly was released at this time and made his way to New York City. Be this as it may, he is not heard of again until his arrival in late 1778 in Halifax, N.S., where the 2nd battalion of the Royal Highland Emigrants was stationed. After reaching Nova Scotia, Bethune acted as chaplain to the 2nd battalion, assisted recruitment amongst Scottish Highlanders, and ministered to the loyalist settlers. His stay in the colony, however, was brief. By August 1779 he had moved to Montreal to take up his appointment as chaplain to the 1st battalion of his regiment. There he performed his regular duties as chaplain, administering the ordinances of marriage and baptism for military personnel of the 84th and other regiments. Since the Presbyterians of the city lacked a church of their own, Bethune attended the services conducted by the Anglican rector of Montreal, David Chabrand* Delisle. It was Delisle who married Bethune and Véronique Waddens in September 1782. From 1783 until the disbanding of the 84th in the following year, Bethune was stationed at the garrison on Carleton Island (N.Y.). On demobilization, he spent a year at Fort Oswegatchie (Ogdensburg, N.Y.) before returning to Montreal in 1786. In Montreal he lived on his half pay but continued to perform marriages and baptisms for army personnel. Around him other Montrealers rallied – Presbyterian Scots, Dutch and German loyalists, and Anglican friends. Being sufficiently numerous to form a congregation, Bethune’s followers rented a large room on Rue Notre-Dame where, on 12 March 1786, Bethune conducted a Presbyterian service. He continued to minister to his “small but interesting” congregation until May 1787, when on the invitation of a group of Highland settlers he moved to the western area of the province, soon to become Upper Canada. Although his Montreal congregation was short-lived, it is noteworthy as the first Presbyterian congregation west of the town of Quebec and as a precursor of the St Gabriel Street Church, the mother church of Presbyterianism in Canada. 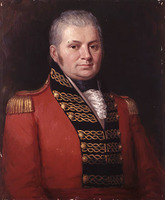 Bethune was one of only a few Church of Scotland ministers who served in Upper Canada before the War of 1812. Still, he was not totally isolated from other clergymen, both of his own and of other denominations. 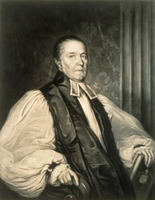 He and his family frequently returned to Montreal for extended visits when a christening or church business was pending, and on these occasions he came into contact with fellow clergymen, including John Young*, his successor as Presbyterian minister in Montreal. 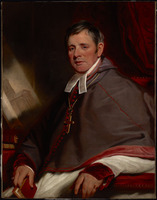 With the Roman Catholic priest in Glengarry County, the Reverend Alexander McDonell*, he lived in peace, but he was careful to warn his flock that, although they should remain friendly with their Catholic neighbours, they should “flee from their principles, as from the face of a serpent.” He was also on intimate terms with John Strachan*, the Anglican clergyman. 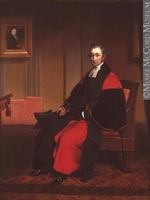 When Strachan taught school at Cornwall during the years 1803 to 1812, Bethune entrusted him with the care of his sons, and later he even allowed two of them, John* and Alexander Neil*, to take Church of England orders since he could not afford to send them to Scotland for their education. Bethune is the most honoured and respected of Canada’s pioneer Church of Scotland ministers, and his children were a credit to him. John and Alexander Neil rose high in the Church of England’s hierarchy, the former becoming dean of Montreal, the latter bishop of Toronto. Of his other sons, James Gray* became a banker, Angus* was made a chief factor of the Hudson’s Bay Company, and Donald* founded a prominent shipping firm. A daughter, Cecilia, married John Kirby*, the Kingston merchant and legislative councillor. The best known of his descendants is Norman Bethune*, one of the heroes of the Chinese revolution. John Bethune’s address, To the members of the Presbyterian congregation at Williamstown, and of the other Presbyterian congregations connected with them in Glengary, was printed in Montreal in 1815. A copy is available at the AO in Church records coll., MU 545, no.34 (Martintown, St Andrew’s Presbyterian). PAC, RG 1, L1, 26: 132; 27: 74, 273; 28: 300; L3, 28: B2/43; 37: B10/34; 67: B misc., 1788–95/96; RG 5, A1: 2196–97, 8236, 9974–75, 10568–69. PCA, St Gabriel Street Church (Montreal), Reg. of baptisms, marriages, and burials. PRO, WO 17/1496: ff. 112, 115, 118, 121, 123, 125, 127, 130, 132, 136, 140 (mfm. at PAC). SRO, CH2/568 (Synod of Glenelg, Minutes, 1725–1929). Corr. of Lieut. Governor Simcoe (Cruikshank), vols.3–4. [James Croil], A historical and statistical report of the Presbyterian Church of Canada, in connection with the Church of Scotland, for the year 1866 (Montreal, 1867). Douglas, Lord Selkirk’s diary (White). “Grants of crown lands in U.C.,” AO Report, 1928: 36. Kingston before War of 1812 (Preston). “The mission of Cornwall, 1784–1812,” ed. A. H. Young, OH, 25 (1929): 481–97. The state records of North Carolina, ed. W. L. Saunders and Walter Clark (26v., Raleigh, N.C., 1886–1907; repr. New York, 1968), 10–12, 25. “U.C. land book B,” AO Report, 1930: 24. Kingston Gazette, 3 Oct. 1815. Montreal Gazette, 25 Sept. 1815. A dictionary of Scottish emigrants to the U.S.A., comp. Donald Whyte (Baltimore, Md., 1972). Hew Scott et al., Fasti ecclesiœ scoticamœ: the succession of ministers in the Church of Scotland from the Reformation (new ed., 9v. to date, Edinburgh, 1915– ), 5. [Thomas Whyte], An historical and genealogical account of the Bethunes of the Island of Sky, ed. A. A. Bethune-Baker (London, 1893). R. Campbell, Hist. of Scotch Presbyterian Church. William Gregg, History of the Presbyterian Church in the dominion of Canada . . . (Toronto, 1885). J. G. Harkness, Stormont, Dundas and Glengarry: a history, 1784–1945 (Oshawa, Ont., 1946). J. A. Macdonell, Sketches illustrating the early settlement and history of Glengarry in Canada, relating principally to the revolutionary war of 1775–83, the war of 1812–14 and the rebellion of 1837–8 . . . (Montreal, 1893). [Alexander McDonald], “Letter-book of Captain Alexander McDonald, of the Royal Highland Emigrants, 1775–1779,” N.Y. Hist. Soc., Coll., Pub. Fund Ser. (New York), 15 (1882): 464. E. A. [K.] McDougall, “The American element in the early Presbyterian Church in Montreal (1786–1824)” (ma thesis, McGill Univ., Montreal, 1965). James MacKenzie, “John Bethune: the founder of Presbyterianism in Upper Canada,” Called to witness: profiles of Canadian Presbyterians . . . , ed. W. S. Reid (2v., [Toronto] and Hamilton, Ont., 1975–80), 1: 95–110. J. S. Moir, Enduring witness: a history of the Presbyterian Church in Canada ([Hamilton, 1974?]). S. D. Self, “A history of the Presbyterian Church in the townships of Charlottenburgh and Lancaster, within the county of Glengarry, Upper Canada (Ontario)” (essay, Presbyterian College, Montreal, 1958). P. H. Bryce, “The Quinte loyalists of 1784,” OH, 27 (1931): 5–14. E. A. Cruikshank, “A memoir of Lieutenant-Colonel John Macdonell, of Glengarry House, the first speaker of the Legislative Assembly of Upper Canada,” OH, 22 (1925): 20–59. “John Bethune, 1751–1815,” Presbyterian News (Raleigh), 30 (1965), no.12: 8–9. Harry Piers, “The fortieth regiment, raised at Annapolis Royal in 1717; and five regiments subsequently raised in Nova Scotia,” N. S. Hist. Soc., Coll., 21 (1927): 115–83. A H. Young, “The Bethunes,” OH, 27 (1931): 553–74. E. A. McDougall, “BETHUNE, JOHN (1751-1815),” in Dictionary of Canadian Biography, vol. 5, University of Toronto/Université Laval, 2003–, accessed April 19, 2019, http://www.biographi.ca/en/bio/bethune_john_1751_1815_5E.html.